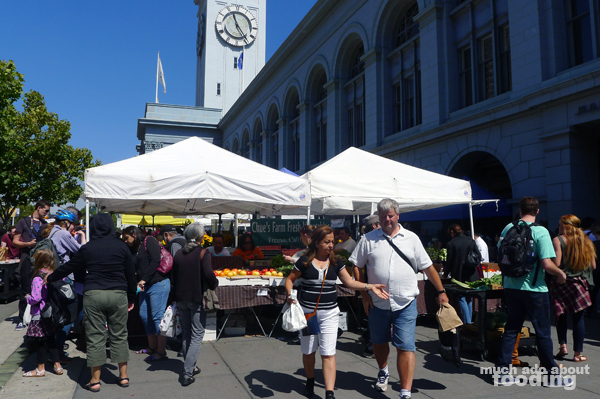 The moment I looked up the Ferry Plaza Farmers' Market in San Francisco a handful of years ago, I fell in love with the well-known event. The building itself is home to a culinary adventure on a daily basis but once the farmers' market is in full swing, a whole day could be spent there indulging in the treasures and pleasures for one's palate. 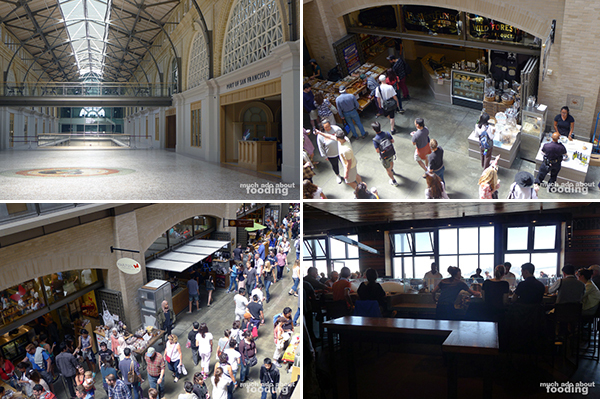 Not only are modern-day treats available but there is also much history in the Ferry Building which was built upon the 1875 wooden Ferry House. Originally a hub for train travelers and ferryboat passengers, the building experienced the hubbub of masses of people and with its turnover in present-day to a gourmand's playpen, still faces it today. I had visited on my first trip with Duc to San Francisco but came back again on my next visit to The City by the Bay with much, much excitement. Before one can even consider the farmers' market which takes place three times a week, the building's marketplace itself should be looked at. Both big name and independent retailers partake in the offering of quality, diverse foods with more than enough choices. This includes restaurants as well which are nestled into the walls and always packed. Some of the well-known merchants we found ourselves in line for included Acme Bread Company for their beautiful breads, Cowgirl Creamery's Artisan Cheese Shop for some unique creamy fromage, Boccalone Salumeria for cones of cured meats (best deal! 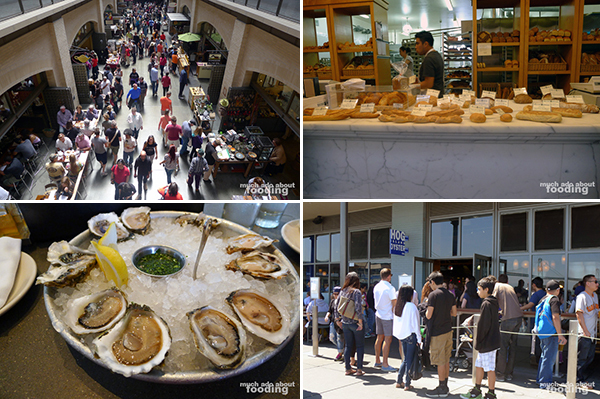 ), and Hog Island Oyster Company for some of the freshest oysters we've ever had. Coffee lovers flock to Blue Bottle there in the building, causing winding lines down the halls, and I often drool at the selections at Far West Fungi. 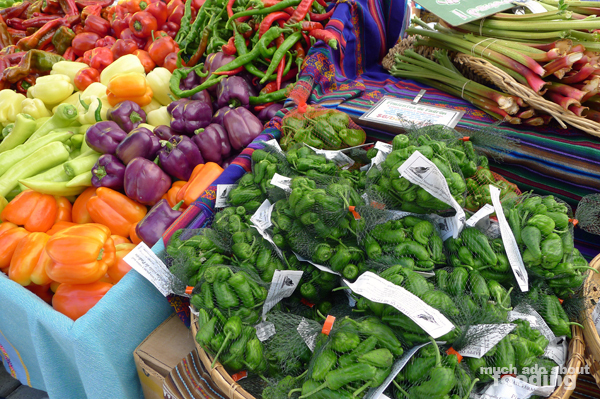 You don't need to visit the farmers' market to get your fill of fooding thrills. Called the Ferry Plaza Farmers Market, the buzzing and enormous market conducts business three days a week - Tuesdays, Thursdays, and Saturdays. The weekend one is the largest for obvious reasons of foot traffic, overtakes both the front and backside of the building, and has been visited by us rather than the weekday ones. 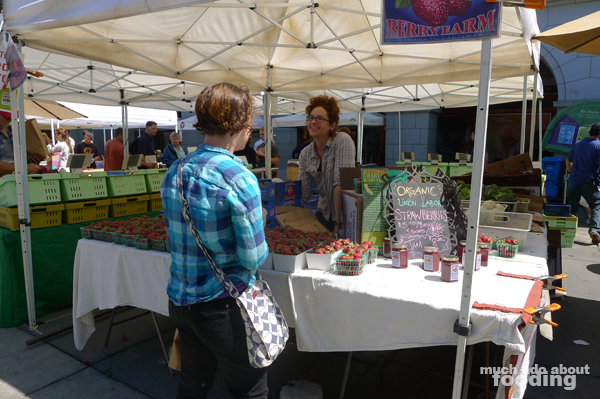 In all cases, this market is run by the Center for Urban Education about Sustainable Agriculture (CUESA) and is California certified. Visited on average by nearly 25,000 people per week, it is an impressive farmers' market and certainly one that attracts the likes of distinguished culinary professionals and farms. Though there were so many potential customers milling about the market, the vendors themselves seemed very friendly which I was surprised to see. Even in some of the smaller farmers' markets I've visited with much less foot traffic, the vendors aren't so approachable. Here, you were practically family. 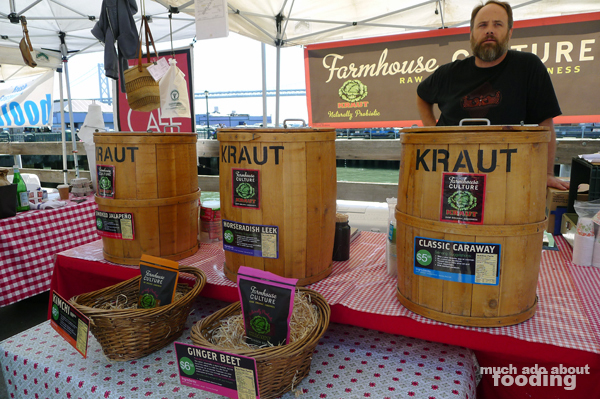 The variety of product was amazing as well with everything from the raw groceries and goods to the fresh meat and seafood to even packaged products such as various versions of sauerkraut. 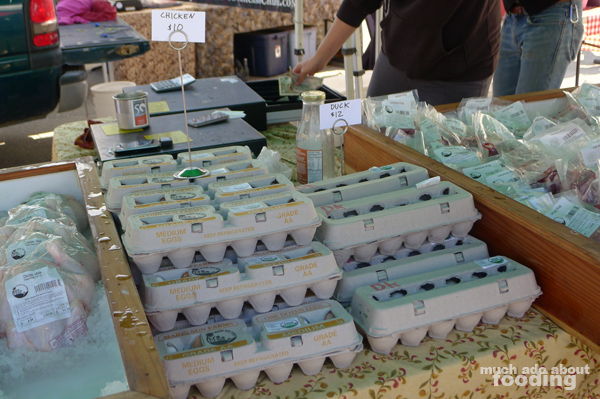 We also noticed that a large majority of foods there were certified organic and products were local businesses. What was also neat were ongoing educational cooking classes held under pop-up tents by local chefs and a veggie valet booth for those inundated with excess goodies! There felt nearly too many items to love. The expansive selection of produce was nearly overwhelming and just more emphatically made me wish I could have a kitchen to use in San Francisco. A rainbow of bell peppers including deep purple and pale yellow-green colors was novel. 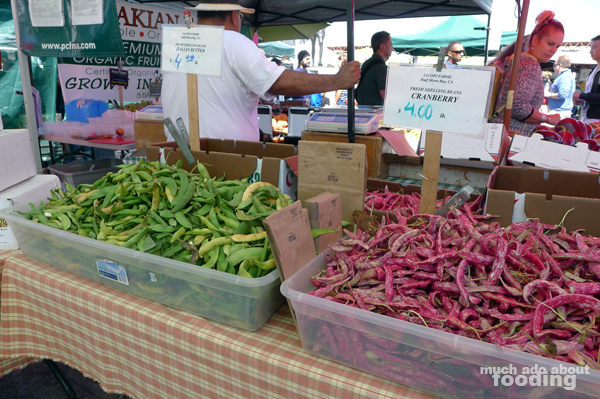 Fresh and enormous dragon tongue beans intrigued passersby in their glorious patterns. 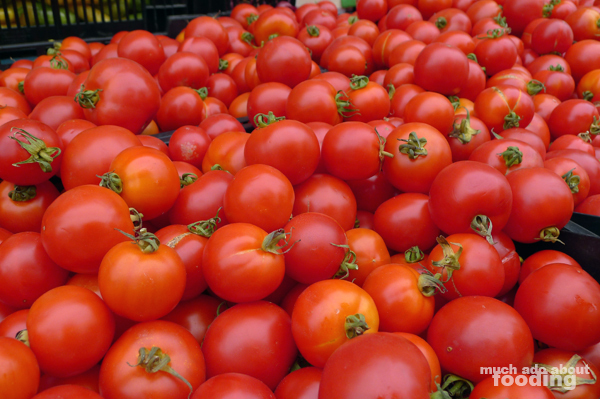 Plump and ripe tomatoes flowed bountifully out of their boxes. 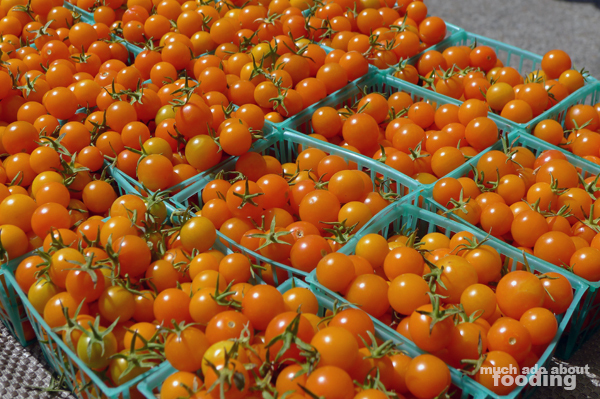 I don't believe I have seen fresher produce in any of the other farmers' markets we have visited. The prices were tempting as well. I advise that you attend the farmers' market hungry because you will definitely leave bursting at the seams. Not only are there tempting baskets of cherry tomatoes to munch on (I know - I bought a gorgeous bucket of ones that looked like orange jewels!) 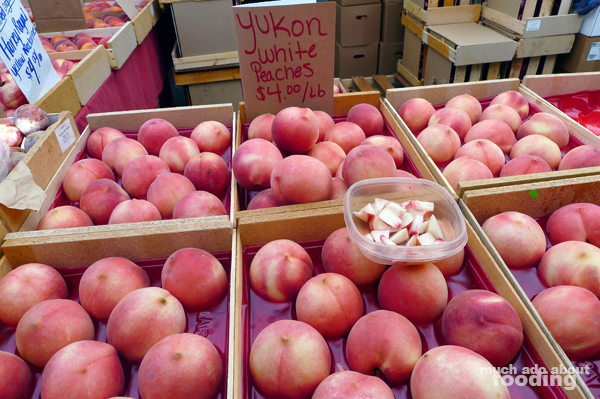 and samples upon samples of stone fruit (sweetest white peaches I've ever seen - get the Yukons or Snow Kings) and smoked fish, there are also pop-up restaurants and hot food vendors that line the walkways. Plan on spending several hours at this farmers' market because there is much to see and eat as well as many people to navigate around. Don't forget to also bring a loaded wallet because the artisan products and ripe fruits and vegetables will play their siren songs for you to buy them. 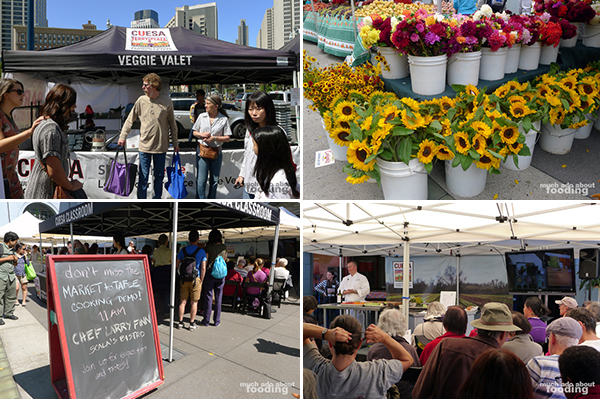 Find the Ferry Plaza Farmers Market at 1 Ferry Building in San Francisco on Tuesdays and Thursdays from 10AM-2PM and Saturdays from 8AM-2PM.